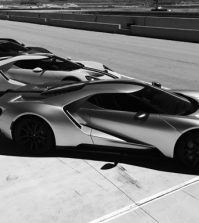 Home > News > Ford GT Application Process Begins! Ford GT Application Process Begins! The application process begins immediately and runs until May 12, 2016 at 11:59 PM EST. Ford will select the first 500 owners of the new GT from those who apply. This bit is important: It’s not necessary to burn up your keyboard, furiously typing to get in your application because the order in which applications are received is irrelevant to your selection. You have 30 days to get your application in, so no need to rush. Applicants will receive status notifications beginning 90 days from the close of the application period. Ford has crafted a new customer experience specifically for Ford GT customers with a new, GT-only concierge service. Recipients of a new GT allocation will work directly with a personally-assigned concierge throughout their ownership process. This includes initial ordering, vehicle configuration, all the way through delivery and beyond into your first years of ownership. The Ford GT also gets an all-new configurator, where potential owners and fans alike can sort view a nearly endless assortment of combinations. At this time, Ford has chosen to reveal 8 base paint colors (including the much-desired Liquid Blue), 7 stripe colors, 5 caliper colors, 4 interior packages, and 2 wheels options (one with 3 finishes and the other with 2). There are literally thousands of combos to build, compare and share on the net. Ford is leaving some details for later, stating only that the base MSRP will be in the “mid 400s.” Expect final specifications and pricing closer to vehicle launch. 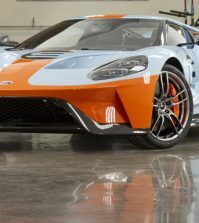 Good luck to all and have fun at www.fordgt.com! ultra-high-performance supercars can officially submit their applications today at FordGT.com. 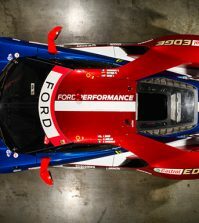 Limited production of the all-new Ford GT inspired Ford Performance to create a unique, customer-focused experience to help select potential owners for the new supercar. Approved applicants will work with the new Ford GT Concierge Service for a personalized purchase experience. The Ford GT is the most advanced Ford production vehicle ever, featuring the latest in lightweighting, aerodynamics and EcoBoost® engine technology – an innovation showcase for the Ford brand. 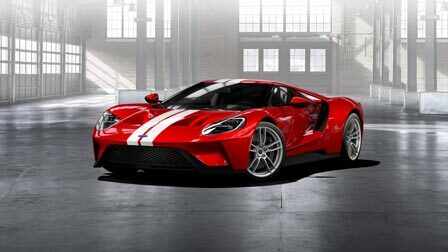 Applicants will have an opportunity to identify their preferred Ford dealership in GT-approved markets and, if approved, will complete their purchase with the help of their dealer and the new Ford GT Concierge Service. Accepted applicants from around the world will be contacted by the concierge and provided a tailored experience – not only through the ordering and delivery but through years of ownership. The new Ford GT website also offers a configurator that allows anyone to build a virtual GT and easily share their dream combinations from a number of color, wheels and interior themes with the world through social media. For production, eight exterior colors can be paired with one of seven different stripe colors, giving the Ford GT customer many choices to keep their vehicle as unique as they are. Pricing for the Ford GT is expected to have a starting price in the mid-$400,000s, excluding destination and delivery. The Ford GT will be one of the rarest Ford products ever. Production is limited to 250 units per year, and the initial ordering period will cover the first two years of production – 500 vehicles. The web-based application process for the first round of applications for the all-new Ford GT closes on May 12, 2016, at 11:59 p.m. EDT. 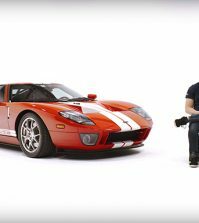 Build your Ford GT today at FordGT.com. I bought a White GT in 2005. I had to pay $60,000 over list price in order to get the car. I bought it at Fred Beans Ford in Doylestown, PA. I still own the car. It has 1,843 miles. I want the opportunity to buy the new GT and I believe I will be able to buy this car without paying $60,000 more than MSRP. Please consider me as a loyal Ford customer as I have purchased over 30 Ford, Lincoln and Mercury automobiles and SUV’s. Almost all of my purchases were at Fred Beans where I purchased my 2005 Ford GT. I took the car in for the 1000 mile service. I have not had any other contact with the dealer since then. I was not happy about the way thhe sale went as I believe it was to who was willing to pay the most money for the car. Although I was that person I feel dealer loyalty was lost iin the transaction. I still believe Ford is the number one manufactuer for American automobiles and SUV’s. You paid $60,000 over list from a dealer you also purchased 30 other Ford cars/trucks? I would not stay with that dealer. If you knew what other people were willing to pay you would be surprised. I paid cash up front to guarantee that the one car available to the dealer was mine no matter what others offered to pay. My dealer has 2 dealerships with Ford and 19 other brands from BMW to Mercedes Benz.I offered @212, and was offered $425,000.00 last week. My car has 1,843 miles and is fully optioned White with Blue and calipers, Macintosh radio upgrade and wheel option. The GT application does not work, it continually displays error message. Anyone else having this problem?